What Bees Make Nests in Trees? There are thousands of different types of bees found around the world. While most bee species tend to make nests in the ground, there are several that build nests in trees. These nests can be found in both dead and living trees. The possibility of having bee nests in trees depends on the types of bees that live in your environment, the types of trees in your area and the availability of other nest material. Wild honey bees, with the scientific name of Apis mellifera, will build nests in hollowed out areas of trees. They will not burrow through trees, but will only make nests in already existing cavities. The honey combs that are made in beehives are also made in the trees. The bees will use this nest for many years as the workers and queens can survive in the nest over the winter. Bumble bees, the Bombus species, will nest in trees if a tree has an existing cavity or an empty bird’s nest is located in a tree. Traditionally they will nest in the ground, but they can sometimes be found in trees. Their tree nests, however, will not be found very high as the bees like to be close to their food source, namely flowers. 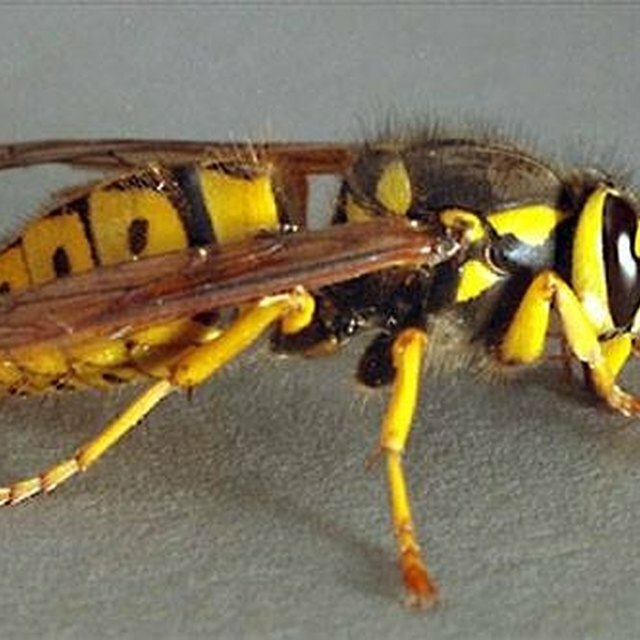 These are not aggressive bees and will only sting if the nest is in danger. Several species of stingless bee's nest in trees, though these nests are typically found in tropical areas. Two types of bees within the Trigona species create their nests in living trees, and nests can contain up to 10,000 adult bees. Bees will not nest in all types of trees. Not all stingless bees will nest in trees and the Lisotrigona carpenteri bees only make small nests in walls found in man-made structures. Carpenter bees will create nests in dead trees. They will burrow into the dead timber and soft trees. They cannot burrow through dead hardwood trees. Two types of carpenter bees that have are known to build nests in dead trees include the green carpenter bee and the yellow and black carpenter bees; both in the Xylocopa species. Some species of carpenter bees have become endangered as land clearing and timber industries have removed the habitats for these bees. Aussie Bee: Which Native Bees are in Your Area? Tomas, Liz. "What Bees Make Nests in Trees?" Sciencing, https://sciencing.com/bees-make-nests-trees-8335053.html. 13 March 2018.